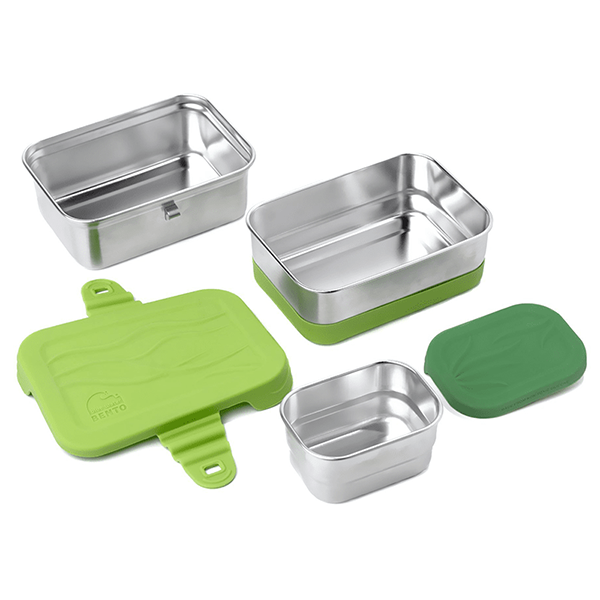 We think you’ll love ECOlunchbox 3-in-1 Splash Box, a three-piece set that stacks and nests. 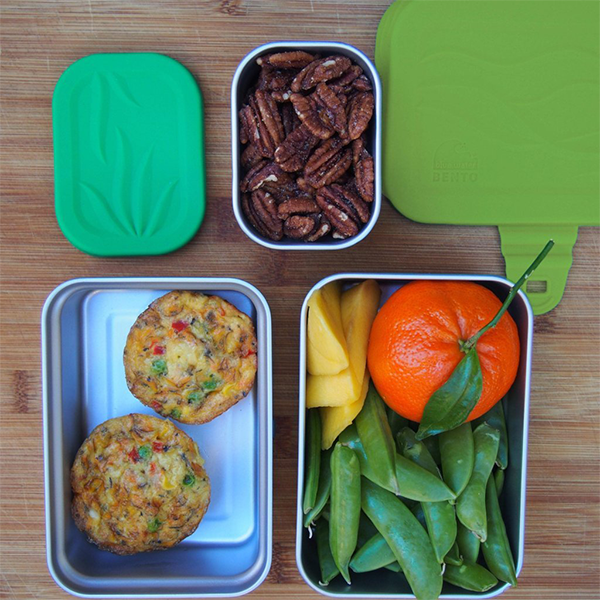 100% plastic-free, it is crafted from high-quality, food-grade stainless steel topped with leak-proof silicone lids. 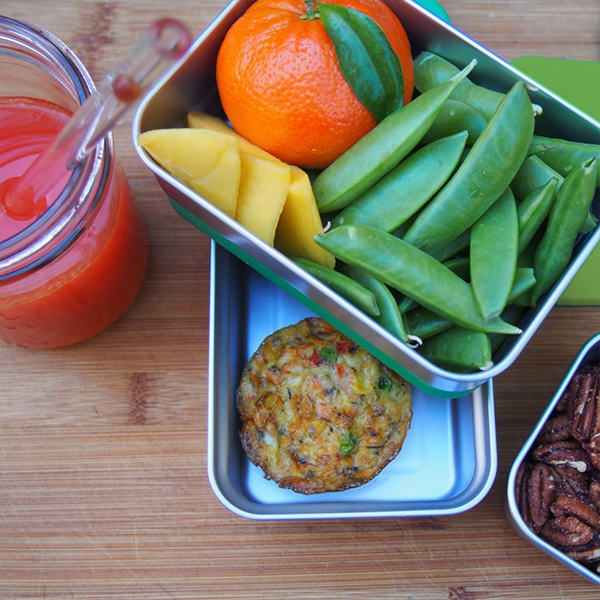 This plastic-free lunch stacker makes it easy to pack several foods and keep them all separate. Nothing gets soggy, plus, they’ll be safe from squashing! 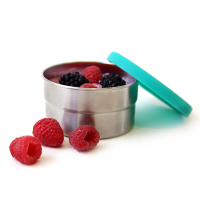 Tuck a small sandwich in the bottom container, a couple of side dishes in the top container, plus the Mini Splash Pod which is ideal for dressings, dips or toppings. 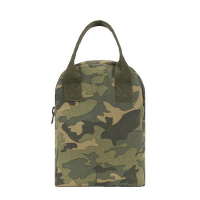 Or you can pull the Mini Splash Pod out, freeing up more space and pack it separately on top. 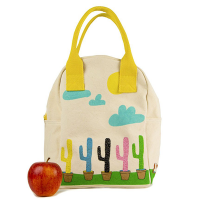 It all straps together with a wavy silicone band that attaches to a wave-shaped latch. 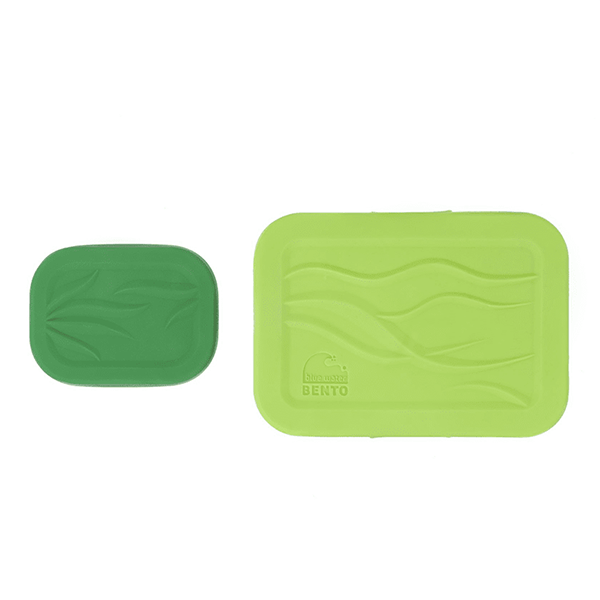 The nubby waves on the strap are non-slip and easy to use and the embossed non-slip tabs on the lids are kid-friendly for easy opening and closing. The entire set is dishwasher and oven safe. Yes, it’s totally ok to warm foods on medium heat. No problem! 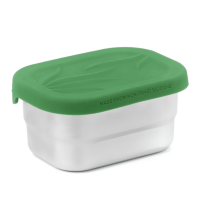 How to seal the top lid and hook to the base: For a no-leak seal on the top container, use the flat of your hand or your thumb and press the soft silicone lid along the top lip of the container. Next, attach the top container to the bottom one by stretching the wavy strap and looping it on the wave hook. Now the top layer is attached to the lower level. 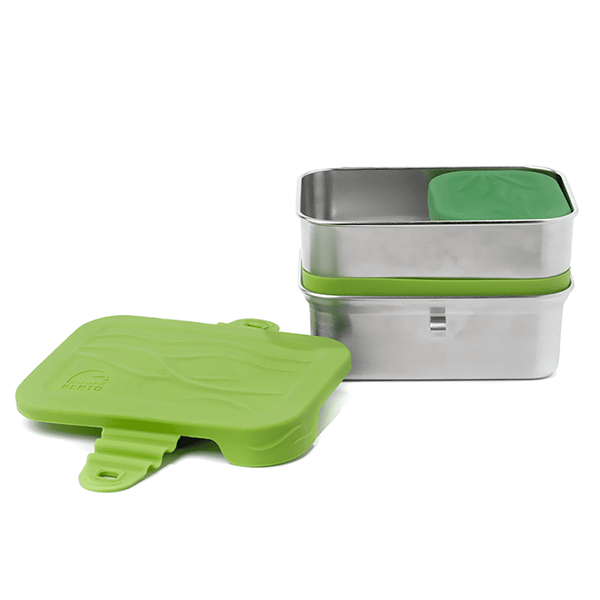 To open large top lid unhook wavy strap and then lift the corner tabs to easily break the seal and remove the lid. 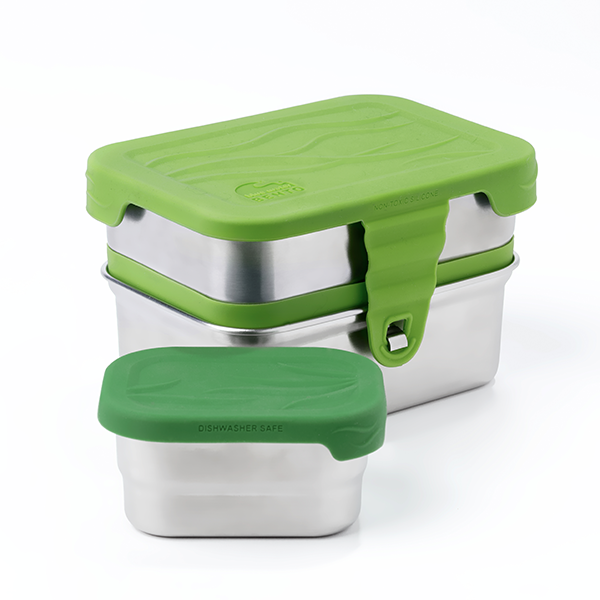 Stainless steel 304 containers with leak-proof silicone lids. Made responsibly in China.